Honig Erwtensoep -- Pea Soup -- Erwten Soep - Clearance - The Dutch Shop LLC your store for Dutch groceries. 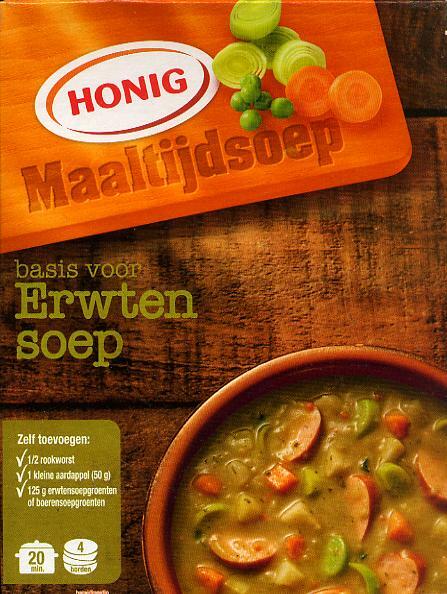 Honig Erwtensoep -- Pea Soup -- Erwten Soep --Honig Pea soup is a hearty soup with peas and celery. Add fresh ingredients to make yourself a delicious, rich soup meal.